Can they bounce back from their midweek Champions League exit? After going out of the Champions League in midweek, Inter Milan will return back to the San Siro as they take on an Udinese side that has just a single victory in their 7 away matches in the season so far. 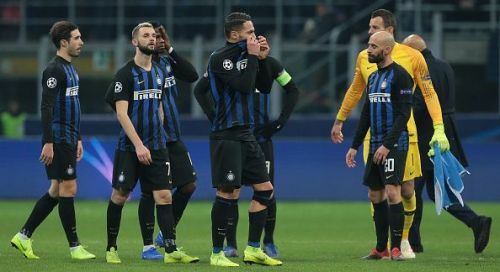 The Nerazzurri failed to once again qualify to the knockout stages of the Champions League since the 2011-12 season, as they were held to a one all draw at home by PSV Eindhoven, allowing Tottenham Hotspur to qualify to the knockout stages with a better head to head record. The Milan side also has managed to win just a single match from their previous 5 games. The Bianconeri Friuliani has managed to garner just 4 points from their last 5 matches, with a victory over AS Roma the only match they managed 3 points. The team from Udine sits precariously in 17th position with 13 points, just 2 points ahead of Bologna. 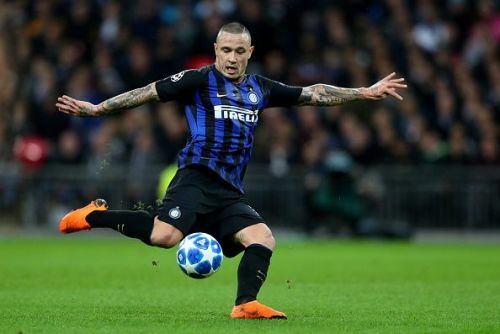 Luciano Spalletti and his side will be once again devoid of the services of defender Dalbert Henrique, while Belgian midfielder Radja Nainggolan might start for the Nerazzurri. Udinese on the other hand, is crippled with a number of injuries to key players like Emmanuel Badu, Molla Wague, Samir, and Lukasz Teodorczyk. Inter Milan have been poor defensively, with the team keeping just a single clean sheet in their last 7 matches. The attacking front also has been something to worry about for the Nerazzurri, with Icardi the only one with more than 5 goals in the season so far.